“Scattered across the Indian Ocean, the enchanting Comoros islands are the kind of place you go to drop off the planet for a while. The Comoros are so remote even an international fugitive could hide out here. Rich in Swahili culture, and devoutly Muslim, the charming inhabitants come from a legendary stock of Arab traders, Persian sultans, African slaves and Portuguese pirates. Nicknamed `Cloud Coup-Coup´ land because of their crazy politics, the three independent islands have experienced almost 20 coups since gaining independence in 1975. In the last decade, however, the quarrelsome independent islands agreed to put their differences aside and fly under the joint banner of the Union des Comores. The fourth island, Mayotte, is an overseas territory of France, and differs from the other Comorian islands politically in that its people are French citizens governed by French law. The United Nations produces an annual Human Development Report which includes the Human Development Index. The factors taken into account include life expectancy, education and schooling and Gross National Income (GNI) amongst many others.. The Social and Moral Development Index concentrates on moral issues and human rights, violence, public health, equality, tolerance, freedom and effectiveness in climate change mitigation and environmentalism, and on some technological issues. A country scores higher for achieving well in those areas, and for sustaining that achievement in the long term. Those countries towards the top of this index can truly said to be setting good examples and leading humankind onwards into a bright, humane, and free future. See: What is the Best Country in the World? An Index of Morality, Conscience and Good Life. Comoros's population is predicted to rise to 1.16 million by 2030. This country has a fertility rate of 4.78. The fertility rate is, in simple terms, the average amount of children that each woman has. The higher the figure, the quicker the population is growing, although, to calculate the rate you also need to take into account morbidity, i.e., the rate at which people die. If people live healthy and long lives and morbidity is low, then, 2.0 approximates to the replacement rate, which would keep the population stable. If all countries had such a fertility rate, population growth would end. The actual replacement rate in most developed countries is around 2.1. The 1950s saw a late rush of 43 countries, including Comoros and many developing nations, move to cease preventing women from voting. The CIA World Factbook has slightly different data, and states simply: Sunni Muslim 98%, Roman Catholic 2%24. Information from 2010 IRF report (US International Religious Freedom report). In "Freedom of Thought" by IHEU (2012)26. Internet access has become an essential research tool. It facilitates an endless list of life improvements, from the ability to network and socialize without constraint, to access to a seemingly infinite repository of technical and procedural information on pretty much any task. The universal availability of data has sped up industrial development and personal learning at the national and personal level. Individuals can read any topic they wish regardless of the locality of expert teachers, and, entire nations can develop their technology and understanding of the world simply because they are now exposed to advanced societies and moral discourses online. Like every communications medium, the Internet has issues and causes a small range of problems, but these are insignificant compared to the advantages of having an online populace. United Nations Development Programme: Comoros country profile. World Giving Index. On www.cafonline.org. (2013) World Factbook. The USA Government's Central Intelligence Agency (USA CIA) publishes The World Factbook, and the online version is frequently updated. 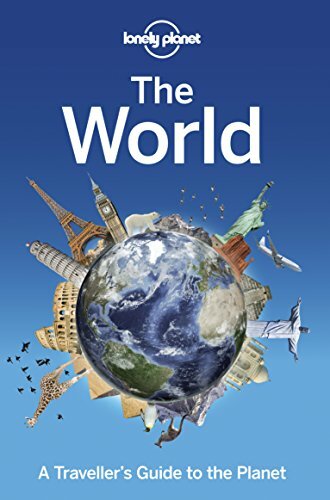 (2019) "What is the Best Country in the World? An Index of Morality, Conscience and Good Life" (2019). Accessed 2019 Jan 13. (2009) Religiosity. gallup.com/poll/142727/.... The survey question was "Is religion an important part of your daily life?" and results are charted for those who said "yes". 1000 adults were polled in each of 114 countries. IHEU. International Humanist and Ethical Union. (2012) Freedom of Thought. A copy can be found on iheu.org/...Freedom of Thought 2012.pdf, accessed 2013 Oct 28. (2014) The World. Subtitled: "A Traveller's Guide to the Planet". Published by Lonely Planet, London, UK. Each chapter is devoted to a specific country and includes a list of the most interesting places to visit and a few other cultural notes. (2011) Human Development Report. Published by the UN Development Programme. This edition had the theme of Sustainability and Equity: A Better Future for All. Available on hdr.undp.org/... UN Development Program: About the Human Development Index. (2013) Human Development Report. Published by the UN Development Programme. This edition had the theme of The Rise of the South: Human Progress in a Diverse World. Available on hdr.undp.org/... UN Development Program: About the Human Development Index. (2017) Human Development Report. Published by the UN Development Programme. Data for 2015. Available on hdr.undp.org/. (2014) Global Status Report on Alcohol and Health. A copy can be found on the WHO website. Accessed 2015 Jan 04. It "presents a comprehensive perspective on the global, regional and country consumption of alcohol, patterns of drinking, health consequences and policy responses in Member States" and was published in Geneva on 2014 May 12.
International Lesbian, Gay, Bisexual, Trans and Intersex Association annual report for 2017, on ilga.org accessed 2017 Sep 24. PF: Pew Forum on pewforum.org/Gay-Marriage-and-Homosexuality/ (page updated 2017 Aug 08). (Source of the quotes on religious opposition to LGBT). Wikipedia on en.wikipedia.org/wiki/LGBT_rights_at_the_United_Nations accessed 2013 Apr 18. (Source of data on who signed the UN 2008 document and its opposing document). Wikipedia on en.wikipedia.org/wiki/LGBT_rights accessed 2013 Apr 18 (source of the civil union & legality of homosexuality legality by country). ©2019 Vexen Crabtree all rights reserved.